← Testimonial – Dawn Widman says our dog has made great strides. 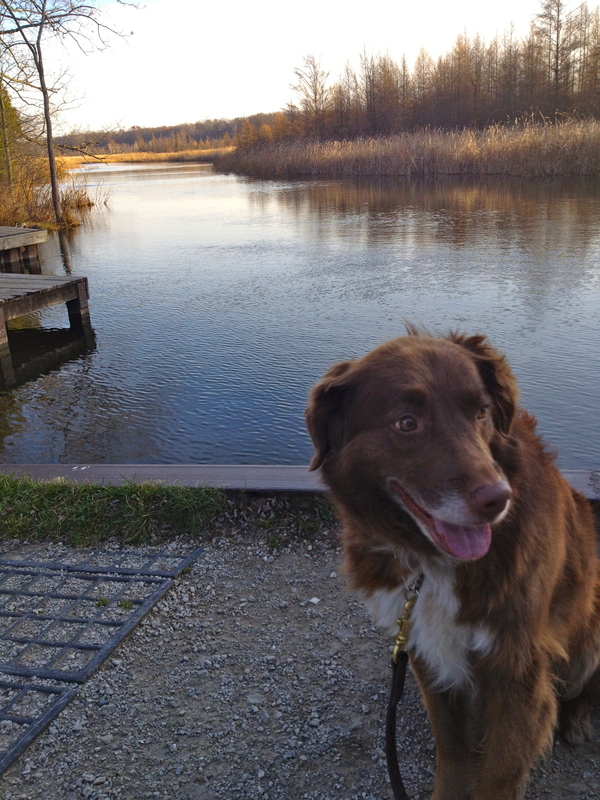 Ginger, an Australian Shepherd mix came to Michigan Dog Trainer for a week board and train program due to her reactivity toward other dogs. She had also been previously trained on an invisible fence system which caused her to stop dead in her tracks during neighborhood walks any time she saw a yard flag or lawn sign. In one weeks’ time, she learned to have more confidence and walk past yard flags and signs and not be so reactive toward other dogs. Below is an email message received from Ginger’s owner, Kelly. “Ginger is like a new dog….feels like a miracle. We have walked past several dogs with only one episode of lunge/barking and one “tap” (from a Dogtra remote training collar set at a low setting) brought her right back to my side. After receiving the above email, Michael went back to visit Kelly and Ginger for a follow-up session. Ginger had continued to make progress and she was very relaxed during her walks in the neighborhood and at parks. Additionally, she continued to be able to walk past other dogs without becoming reactive. Kelly is so happy with Ginger’s progress that she is excited to take Ginger with her during a weekend trip to Chicago, Illinois. Whereas, in the past she had to leave Ginger home due to her reactivity toward dogs. Kelly offered to give the below video testimonial. This entry was posted in Remote Training Collar, Testimonials & Case Reviews, Uncategorized and tagged Ann Arbor, Aussie, Australian Shepherd, board and train, dog behaviorist, ecollar, in home dog training, Michigan, Michigan Dog Trainer, Michigan Dog Training, professional dog trainer, remote collar, shock collar. Bookmark the permalink.